Many of life’s doors are closed to one who has a criminal record. Setting aside one’s Arizona conviction can re-open many of those doors. Bretton Barber is a Phoenix area attorney who is passionate about assisting those convicted of a crime with moving on from their past mistakes. Conviction set asides will allow you to inform all employers who ask that the charges against you have been expunged. Set asides will also prevent your criminal record from appearing on some criminal background checks altogether. If you are eligible for a set aside then it is important that you take advantage of this opportunity. For affordable assistance contact our office today to speak with a lawyer. 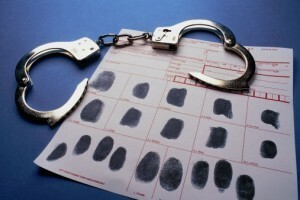 Every state has their own laws and procedures when it comes to sealing a criminal record. Some states refer to this process as an expungement. Arizona refers to this process as setting aside the conviction. What that means is that your record will not be “erased” but the court will vacate your conviction and dismiss the charges. While you will still be required to disclose the conviction on applications such as employment and housing, you will be able to make a note that the charges were dismissed. This makes a huge difference and will create a number of new opportunities. Bretton Barber has filed hundreds of set asides on behalf of clients throughout the state of Arizona. He understands each Court’s individual procedures and knows what kind of information each Judge is looking for. If you are considering filing a petition to have your conviction set aside, the first step is to contact Bretton for a consultation. He will meet with you either in person or have a discussion with you over the phone regarding your specific case and how your conviction has been impacting your life. During this first meeting Bretton will determine if you are eligible to have your conviction set aside. Those who are not eligible are persons convicted of a sexually motivated crime, or a crime against a minor under the age of 15. It is also important that you have satisfied all of your post conviction requirements, including probation and community service. Bretton will then file a Motion with the Court explaining why your conviction should be set aside, and serve the prosecutor with notice of your request. Once a hearing is set, Bretton will appear on your behalf in front of a Judge and make a final argument. He will then inform you if your request has been granted and file any necessary follow up documentation. In addition to Phoenix, our attorney represents defendants in other Maricopa County cities such as Mesa, Glendale, Scottsdale, Chandler, and Gilbert. We also assist Pima County residents in Tucson and others throughout the state.. Many attorneys charge high rates for a set aside without ever even meeting the client. Bretton Barber believes that if one has paid for their mistakes they do not deserve to be cheated or have their future held hostage. During your initial consultation, Bretton will negotiate a reasonable rate for the amount of time it will take to draft the Motion. Bretton is passionate about helping those who have rehabilitated their lives move on and dedicates a large percentage of his practice to this area. Call him today for a consultation.